The Sacred Valley was highly appreciated by the Incas due to its superb climate, overwhelming scenery and geographical location. It is 2800 masl/9400 fasl approximately allowing a better acclimatization instead of the city of Cusco located 3400 masl/11,200 fasl. In the Sacred Valley of the Incas you will prevent the high altituted sickness or "soroche". Full Day Guided Tour to Chinchero, Salt Mines of Maras and Terracing-Agricultural Laboratory of Moray and Ollantaytambo. Chinchero attractive town considering the colonial constructions built on Incas foundations. An eye-catching feature of its main square: a stonewall with trapezoidal niche. The farmers and businessmen gather to exchange their products in a fair where they still barter. You will enjoy also a textile demonstration. Also called Salinas de Maras, these salt-mines have been used since the Tahuantinsuyo. The people channel the salt water that bubbles to the surface from a spring called Qoripujio towards men-made wells. The view of this complex of nearly 3000 wells is spectacular. The local people happily demonstrate the ancient techniques to visitors, even allowing them to participate in them. Moray is famous for its sunken amphitheater, made up of four circular terraces which appear to disappear into the earth like an artificial crater. You will be then transferred to Ollantaytambo, an Inca vestige that was a military, religious and agricultural center. Here, the fortress located in the highest part of the mountain, protected the valley from the invaders. The view of the town from the top is overwhelming, narrow streets and water channels are still used by the locals. This is a Living Inca Town since inhabitants maintain very old practices and customs. Departure of your rail coach through an amazing route. Arriving to Machupicchu Pueblo (Aguas Calientes Village) Train Station, you will be transported by bus to the top of the mountain (approximately 25minutes ride). 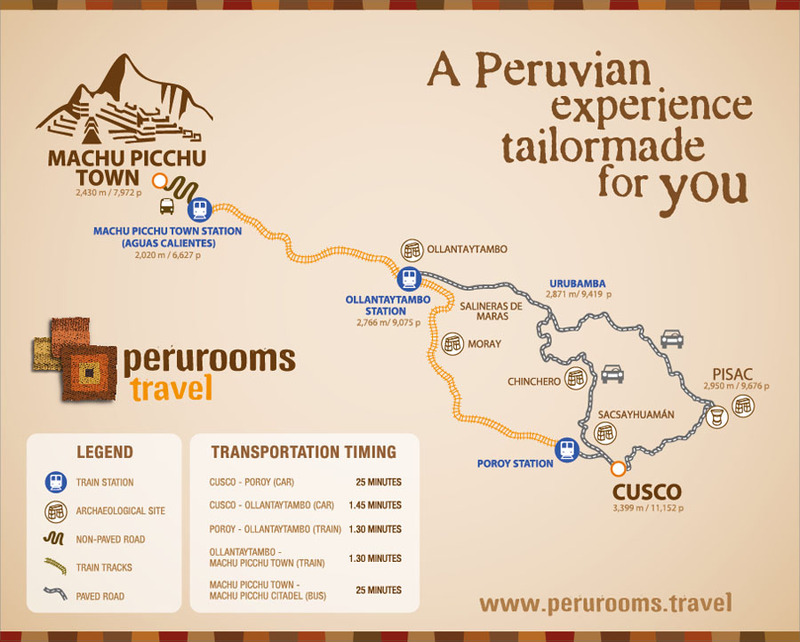 Start your guided tour to the hidden gem of the Incas: Machu Picchu Citadel. 2 nights in the Sacred Valley of the Incas including breakfast. 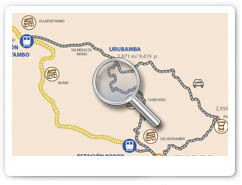 Train tickets round trip / Entrance to the Citadel / Round trip Bus Aguas Calientes- Machu Picchu Citadel- Aguas Calientes. - Travel or personal insurance (highly recommended; consult our travel advirsors).